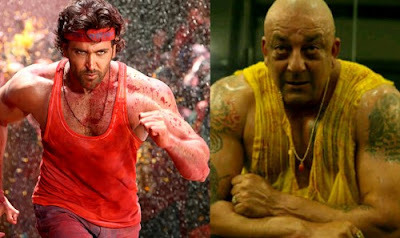 Bollywood actor Hrithik Roshan-starrer ‘Agneepath’ is up for release in 2012, but it has already recovered close to 60% of its production cost by way of satellite rights. Sources confirm that the movie has been sold to a television channel for a staggering Rs 41 crore. Satellite channels are acquiring films as and when they are being announced and parking titles with themselves in advance. It Breaks all records in bollywood history ..
SRK’s ‘RA-One’ has been sold for Rs 35 crore.